I care for infants, children, and adolescents in the context of their families. My relationship with each child and family is unique and helps me provide the special patient care needed in times of both illness and health." 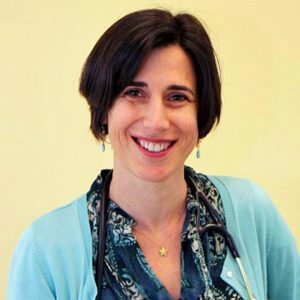 Dr. Meyer graduated from Harvard Medical School in 2000 and completed her pediatric residency at Oregon Health & Science University. Prior to her career in medicine, Dr. Meyer taught elementary school and earned a degree in Cultural Anthropology. She has a professional interest in child development. Dr. Meyer and her husband enjoy trying to keep up with their three active children. She also loves reading, travel, and the outdoors. "Dr. Meyer is always caring and understanding. She focuses on your child and not only that she make sure that you’re OK. We are so lucky to have her Dr. Meyer"